Spirit of British Columbia at berth 3 - Tsawwassen Terminal during winter refit (Jan-Mar) 2001 [photo © Mr. DOT]. It is unusual to see a Spirit class ferry, or any single ended ferry, berthed stern-to at this terminal. 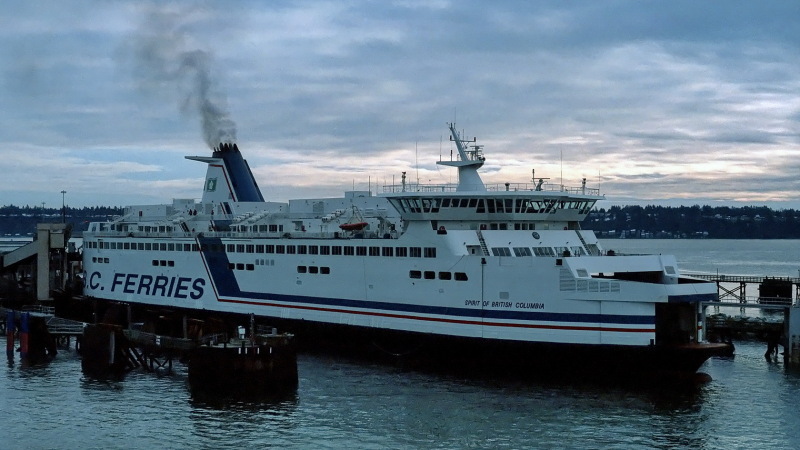 these were impressive ferries when they were first introduced! mrdot.